The Marine Dealer Conference and Expo opened today at the Orange County Convention Center in Orlando, Fla. In addition to the educational sessions and meetings, there are 117 exhibitors across 50,000 square feet of exhibit space inside the convention center. Exhibitors range from boatbuilders with multiboat displays to software and other service providers to equipment manufacturers. The aisles saw light traffic early, but exhibitors were hopeful about increasing their dealer contacts at the show. Wells Fargo, one of the event’s primary sponsors, has a large booth at the entrance to the show. The company provides floorplan financing to many of the dealers attending MDCE. 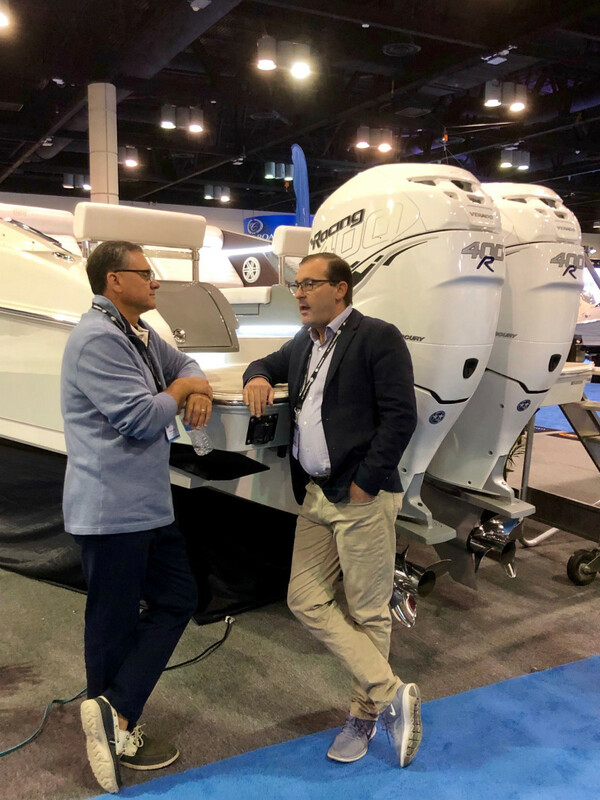 “Anytime we can be in the same building with the best dealers in North America is a plus,” added Gavan Hunt, vice president of sales for Chris-Craft. 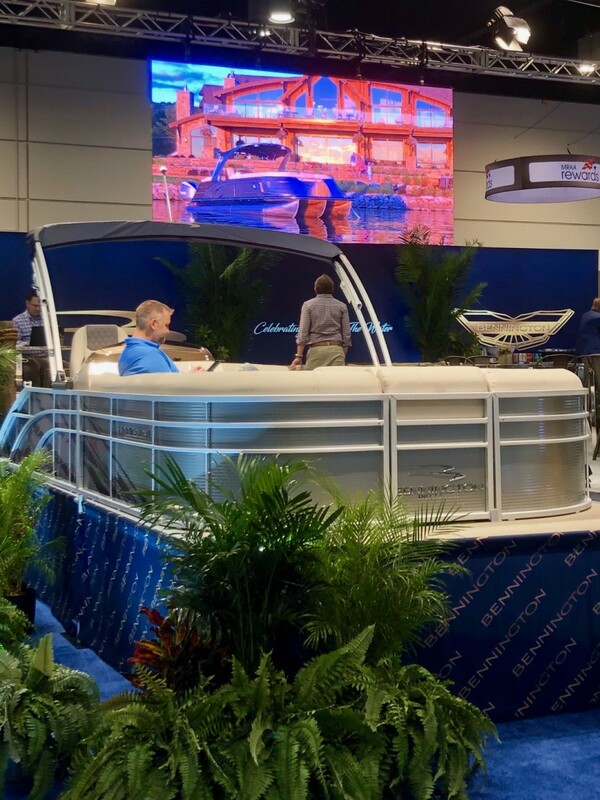 The Sarasota, Fla.-based builder has three boats on display in the convention center. 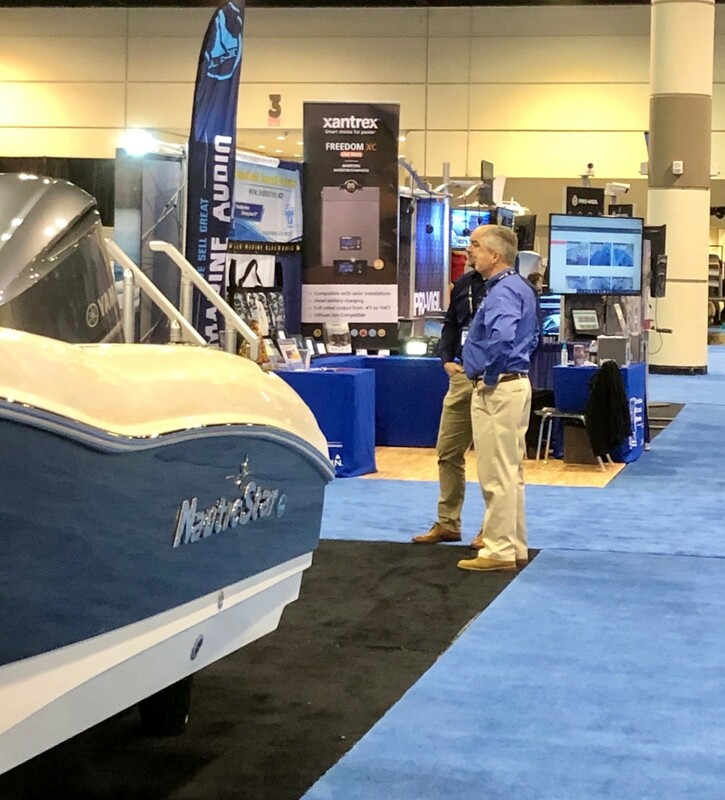 Chris-Craft is not actively looking for new dealers, but the company says MDCE has been a way to establish informal ties that could lead to a business relationship in the future. “It’s sometimes a long courtship,” he said. Hunt said MDCE also gives his company a chance to meet Chris-Craft dealers to discuss planning for next year. “We see them at our dealer meeting in July, but this gives an opportunity to talk about long-term plans,” he said. The dealers at this show, Hunt said, are considered the best U.S. dealers because they have a “genuine attitude” of continuous improvement. “They are the guys coming up with strategies that are going to win in their territories,” he said. Around the exhibit hall, boatbuilders were looking for new dealers for their lines. But other exhibitors had different motives for attending MDCE. 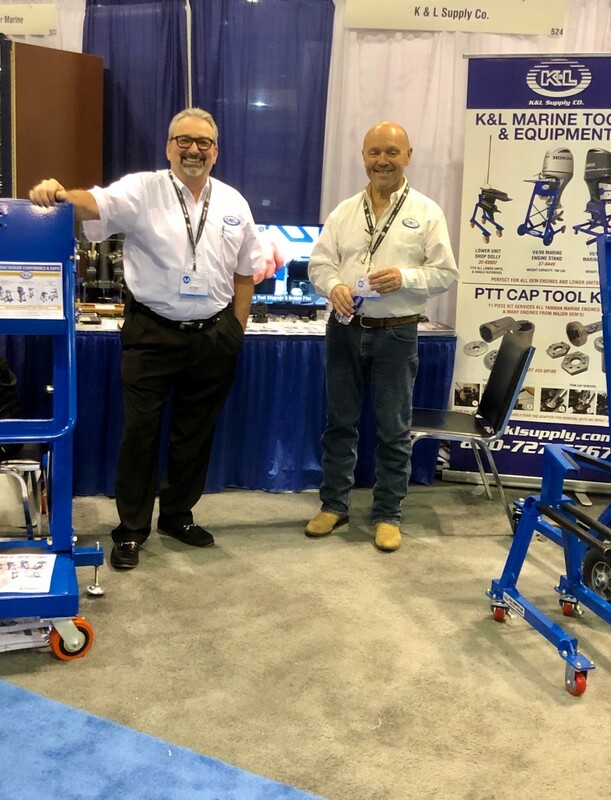 Bob Beltz, vice president of K&L Supply Co., wanted to make contact with other exhibitors, specifically Mercury Marine, Evinrude and Suzuki. Based in San Jose, Calif., the company makes shop equipment and tools, fuel products and, most important for this show, special tools for Yamaha engines for diagnostic and repair work. As a first-time exhibitor to MDCE, Beltz said attending is more of a “fact-finding mission” than one with specific goals. “We see the marine industry offering excellent opportunities for expansion,” he said. Speedy Dock is exhibiting at MDCE for the third year. 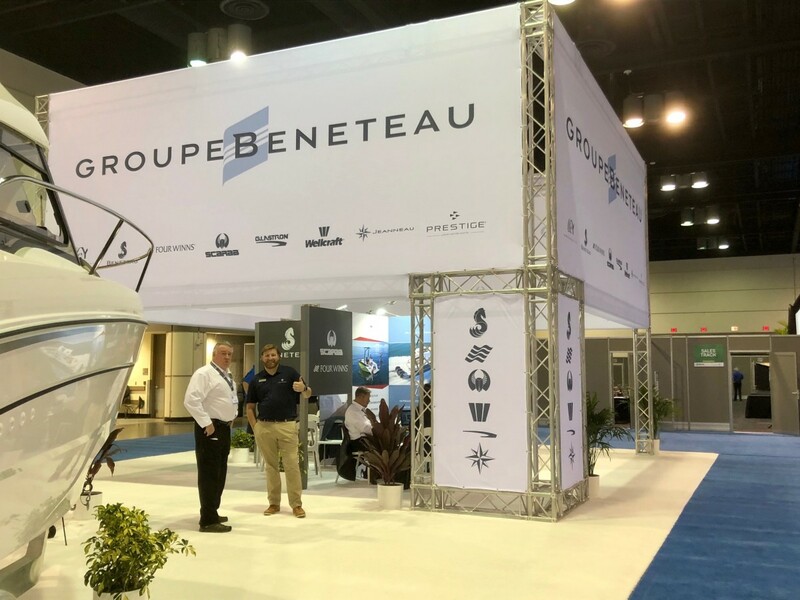 CEO Travis Wolfe said the show puts his company “right in front of the decision makers,” for his product, which is an app that allows boaters to contact dry-stack storage marina operators to schedule launches and retrievals.